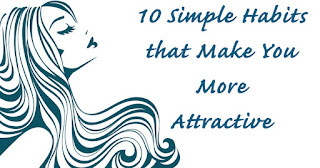 10 Simple Habits that Make You More Attractive! Home » Unlabelled » 10 Simple Habits that Make You More Attractive! Self-love can be a tough road. But once you get there, your attitude and habits may change for the better. Choosing to be positive will allow you to attract the right people into your life — people that make you happy and help you to learn and grow. It all starts with the way you treat yourself. 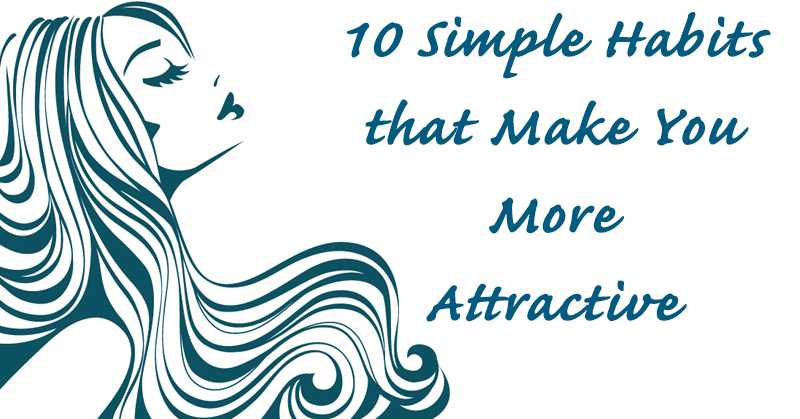 Here are 10 habits that will help you increase your attraction! It’s important to be a good listener. When you’re more interested in what someone else has to say than talking about yourself, the other person will feel like you really care. Talking about work or the weather can get a conversation going, but sharing dreams, goals or passions will help establish a real connection. Your true friends are always there when you need them, so don’t let your friendship take a backseat to the other things going on in your life. By nourishing your friendships and making time for the people you care about, you’ll ensure that those great people are in your life to stay. Life can get hectic, but remember to slow down and appreciate things as you experience them. Being mindful is an attractive quality because it is a peaceful self-awareness in which a person acknowledges the beauty in the present moment. Taking care of your body, inside and out, is extremely important to health, happiness and well-being. Exercise will help keep your body healthy and allow you to be more comfortable and confident in your own skin. Knowing your self-worth allows you to be confident. Hold your head high and don’t stray from your morals or standards. Being confident in who you are will help you find a partner who shares similar standards. Food is fuel for your body. Putting processed food into your body won’t help it function properly — it will eventually harm it. Choose fresh, healthy foods to fuel your body. Sleep is vital to your health and well-being. Not only does a good night’s rest rejuvenate your body, it keeps your skin looking healthy and your eyes clear. A well-rested person is able to cope with stress better. Don’t let yourself get so busy that you don’t have time to relax and unwind. Allow time each day to do something you love, or something that will help you recharge. Go for a run in the morning, take a bubble bath in the evening, or read a few chapters from a book each day. Find an activity that feeds your soul. Grudges can be hard to let go of. You might want to hold onto the anger and pain of being hurt in hopes that remembering might keep it from happening again. The truth is, the longer you hold a grudge, the longer it will take to heal. Learn from the situation, but let it go. You’ll feel lighter and ready to move on. You are in charge of your own happiness. Choosing to enjoy the simple things in life is a way to keep a positive attitude. Stay close to the things that make you feel alive, and surround yourself with those you care about.